Lake Brantley athlete Damarius Good committed to Miami Wednesday after taking a visit to Coral Gables. 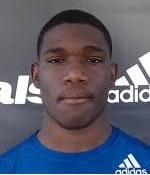 Good, who plays running back, triple-option quarterback and cornerback for Lake Brantley, was offered by Miami assistant coach Ephrain Banda as a cornerback. 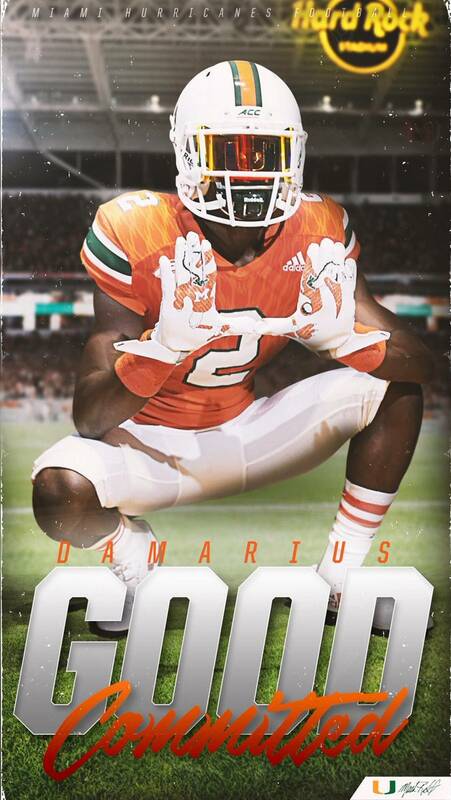 In addition to Good’s athleticism and his ability to play numerous positions, the Miami coaching staff is also impressed by Good’s speed. Good has personal bests of 10.63 seconds in 100 meters and 21.58 seconds in the 200 meters. The 6-foot, 183-pound Good picked Miami over 10 other offers, including UCF and USF. Good is the 12th player to commit to Miami’s 2019 recruiting class, and the seventh Central Florida player to do so in the past three years. Miami signed Orlando First Academy OT Tre Johnson in 2016, Dr. Phillips OT John Campbell and Orange City University High RB Lorenzo Lingard in its 2018 recruiting class, and the Hurricanes also have a commitment from Avantae Williams, a 2020 safety at DeLand. Good would have been the second Central Florida player headed to Miami for 2019, but Mount Dora Christian linebacker Jesiah Pierre decommitted last week.